This week has been a busy one for adidas and earlier this week they unveiled the new home-shirt for the reigning World Champions. 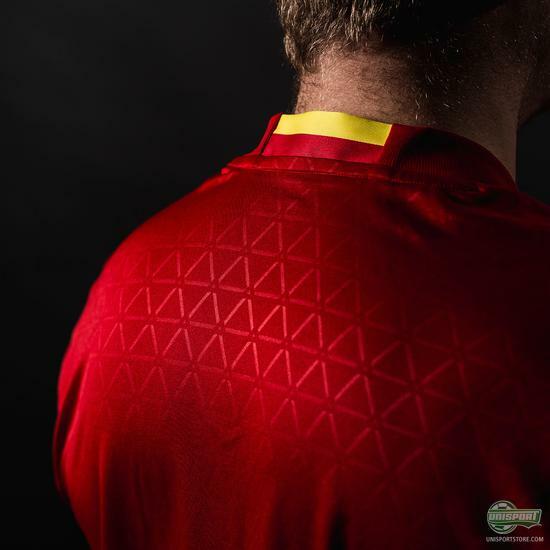 Now it’s the current European champions turn, as adidas launch the new Spain home-shirt. 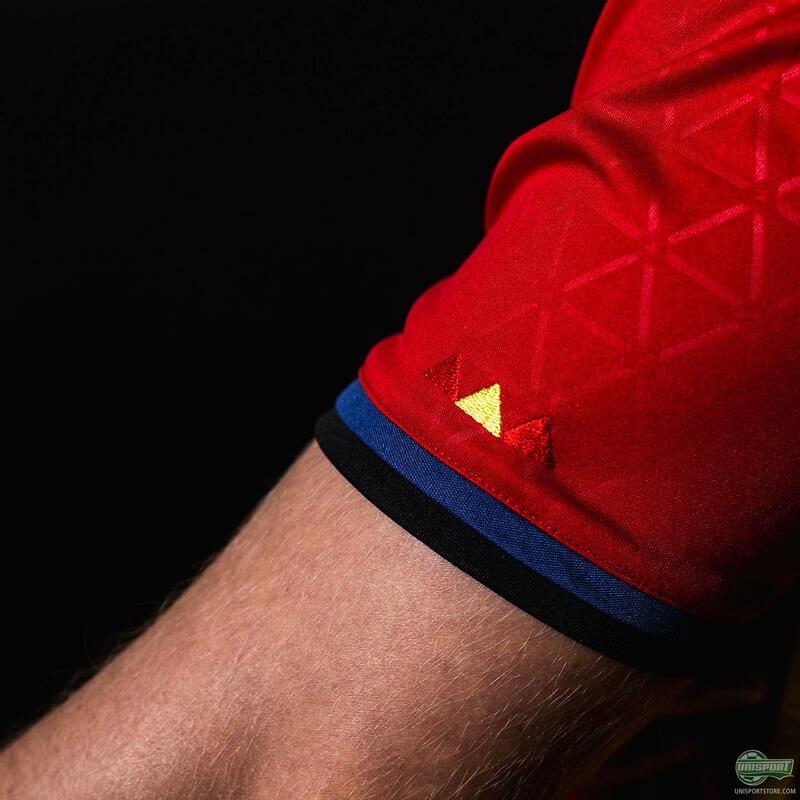 We take a closer look at the new kit, which as you might have already found out from the pictures, has a design so classy you can hardly believe it. Shirts that at first glance appear simple, but hold subtle and cool details upon further inspection, is very much the mode at the moment. 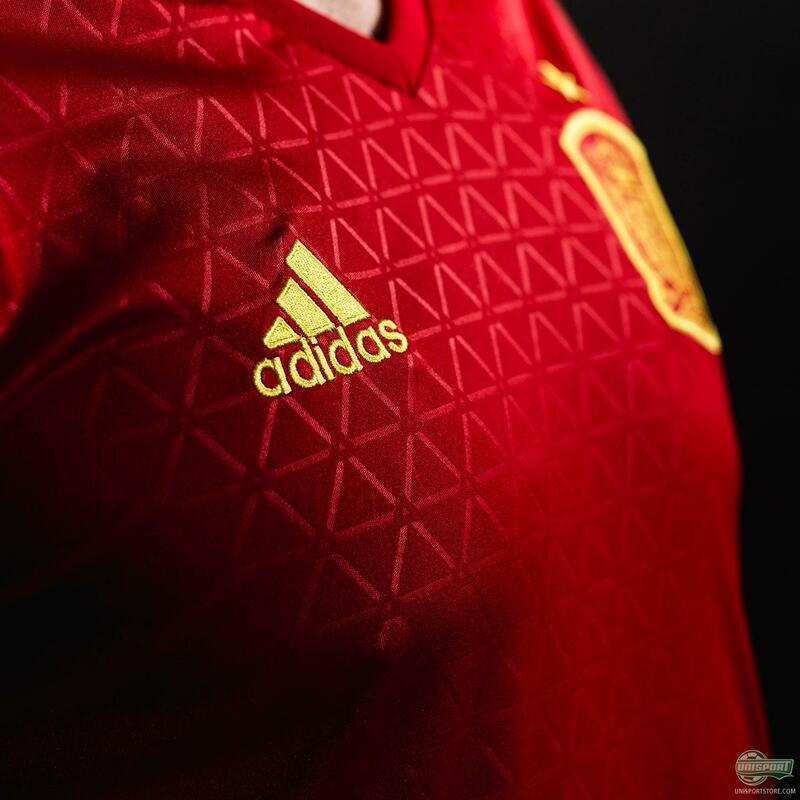 The new Euro 2016 Spain home-shirt is no exception and the tone-in-tone design that covers the shirt works incredibly well if you ask me. 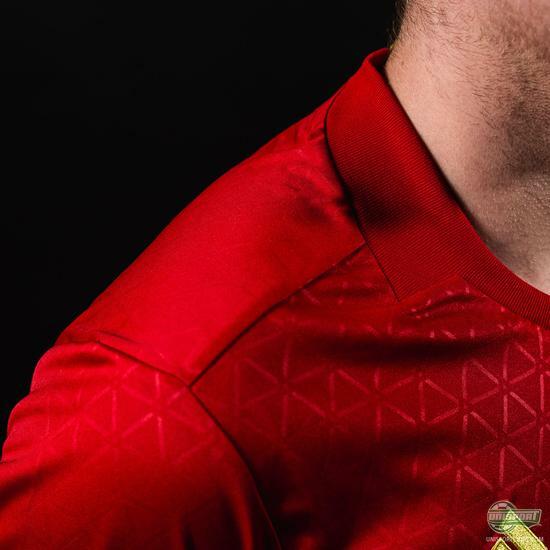 I’m the type of person who appreciates the small things with a shirt and that’s why my favourite aspect of the new shirt is the collar, which is very modern V-neck. 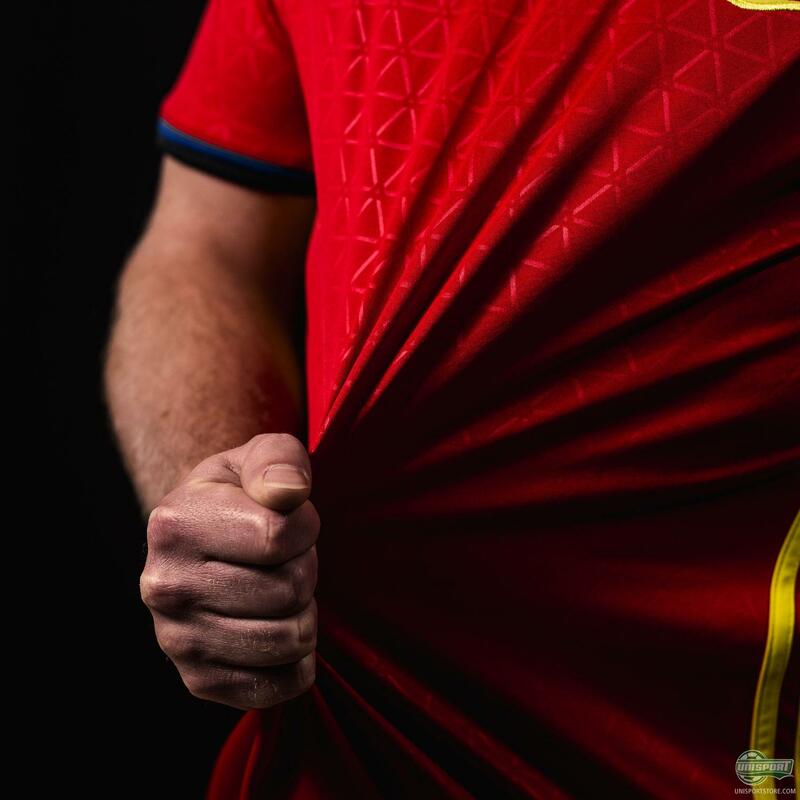 It makes for a comfortable fit that David Silva, Diego Costa and Sergio Ramos hope will spur them to European Championship glory. 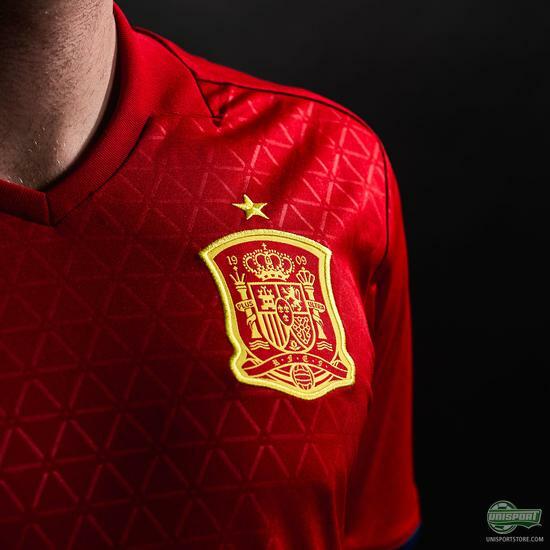 You can show your support for Spain when they look to retain their status as European Champions next year. Find the new shirt right here. I’m very fond of the new design, which we will have the pleasure of seeing in action for the first time, when Spain take on England in a friendly at Wembley. What do you think - is it worthy of the star-studded Spanish line-up?